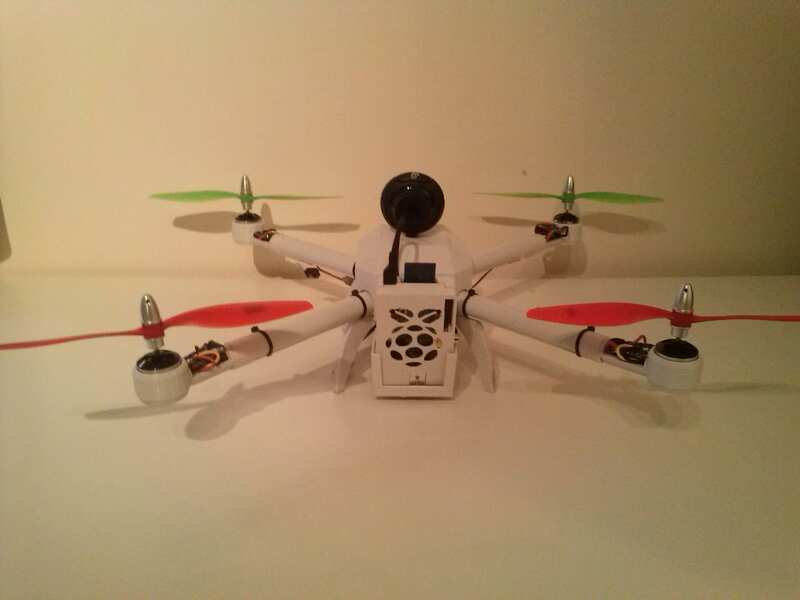 This blog represents the work of my computer science dissertation project aimed at successfully attaching a Raspberry PI onto a quadrocopter and adding autonomous behaviour which could be used for various applications such as search and rescue and 3D building construction. 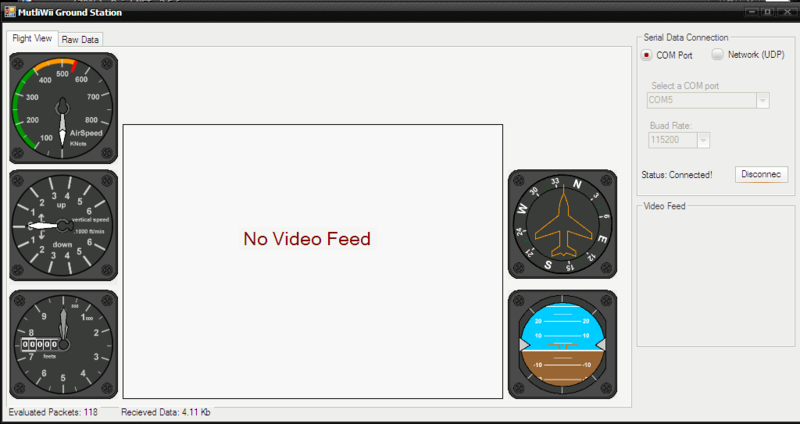 So far I have explored ways of interfacing the control board (MultiWii) and have found two possible methods. I2C – A two wire interface that can be used to directly access the on-board sensors and motors through memory addresses. The Raspberry Pi actively supports this through its GPIO pins. My attempts at getting to this work has be partially successful, in the since I’ve managed to access data. However there is very little documentation on the memory address for the MultiWii which has caused problems using it. Serial – The MultiWii board has two serial ports one UART and a FTDI, these can be used to interface with the PI through the GPIO and in my experiments I found the PI will happily power the MultiWii board without a problem. 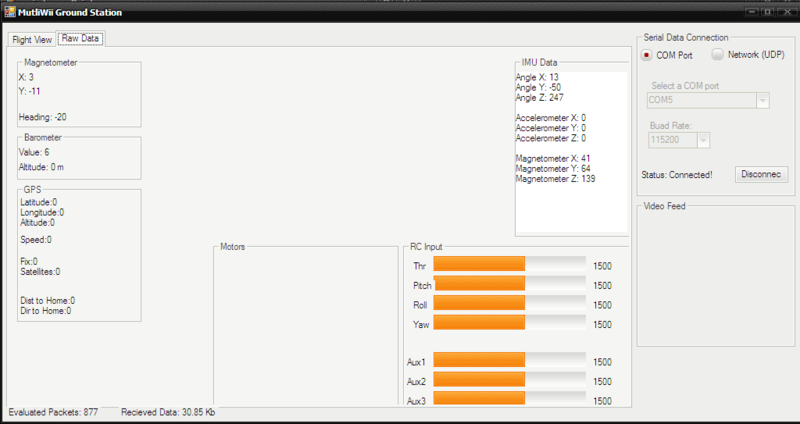 I wrote a c# wrapper that encapsulates the MultiWii protocol and can grab most of the sensor data allowing. This worked so well that I’m considering using it as a ground station and passing the serial data over a network connection from the PI for monitoring purposes. From this I have now started working on a version for the PI, I first started with c++ however due to the lack of fully functional IDE’s and the compile time, I’ve decided to give it a try with python that is completely supported and heavily used on the PI. Additionally I’ve attached a USB camera to the PI my attempts at streaming this camera over the network were unsuccessful as the framerate was too slow for anything useful. However I found more success by grabbing frames from the camera and saving to a file. Which using Lighttpd I was able to view remotely. This was much faster! I’ll keep this blog updated as this project progresses, Questions and feedback are most welcome.